Swirls and Stripes of Blue and Rubino over 24kt Gold Foil with splashes of gold, in the Ca'd'oro style. 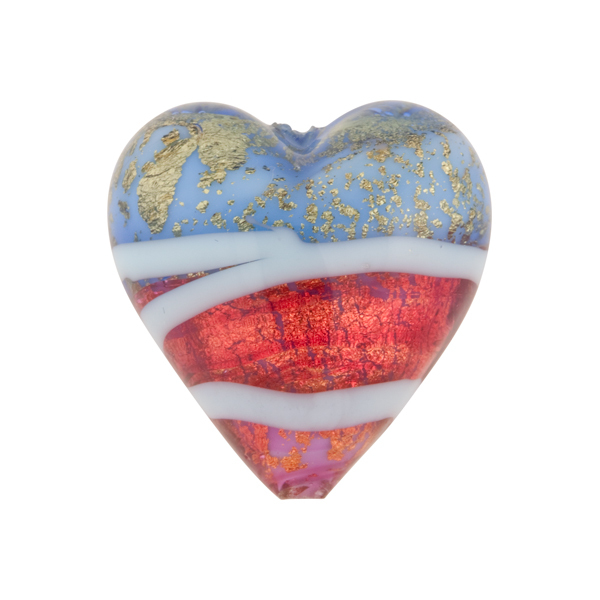 The size is approximately 20mm tall with a 1mm hole which runs vertically through the heart. 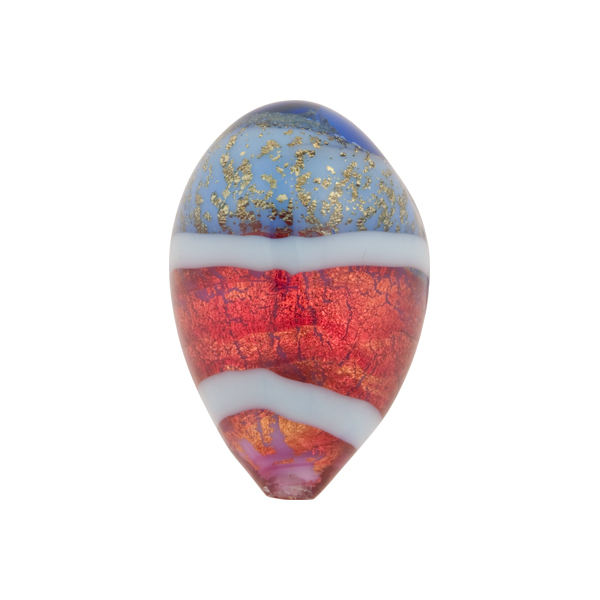 Use this in a bright pendant and with matching smaller hearts for earrings.